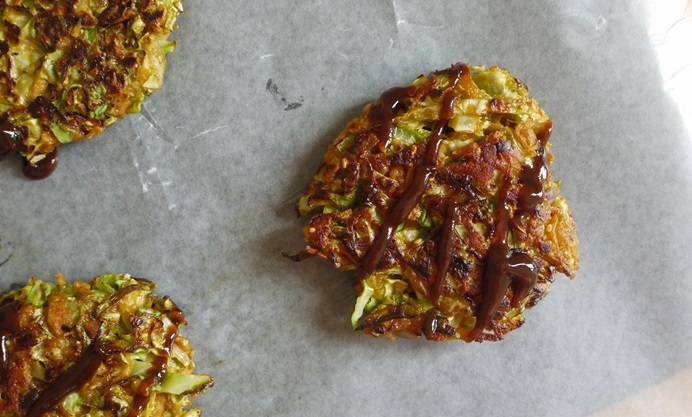 Kate Doran serves up her delightfully crispy okonomiyaki recipe, filled with sweet potato, cabbage and toasted sesame. The beauty of these Japanese fritters is that they are endlessly adaptable, so feel free to include any ingredients you have to hand. If vegetarian, make sure you source an okonomiyaki flour without the traditional fish-based seasonings. 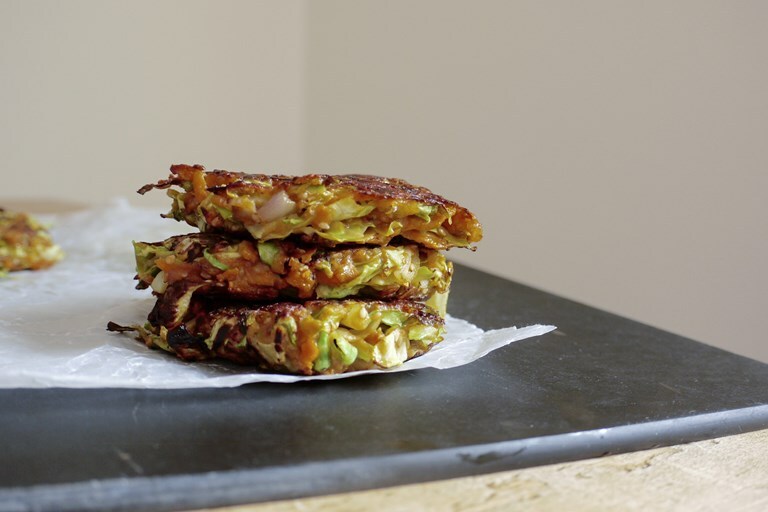 These flavoursome, crisp little fritters are inspired by okonomiyaki, a type of savoury Japanese pancake. The name okonomiyaki roughly translates as ‘what you like, grilled’ and all sorts of exciting ingredients can be added depending on what you have in your fridge. Octopus, pork belly and shrimp are all traditional, but here I’ve kept things plant-based with a combination of sweet potato and cabbage. Okonomiyaki are traditionally served with a Japanese sauce of the same name and mayonnaise, then sprinkled with bonito flakes or nori. To make a suitable (although possibly sacrilegious) substitute for this sauce, combine three parts ketchup to one part Worcestershire sauce with a dash of soy. Alternatively, a very British squirt of brown sauce and a fried egg work wonders if you’re eating these pancakes for breakfast. Note that some okonomiyaki flours contain dried fish, so if you’re vegetarian you’ll want to seek out a suitable brand.